I recently got tempted into buying some vanilla bean paste. It isn’t something I’ve used before but it is meant to give the effect of having used whole vanilla pods but without the price tag. 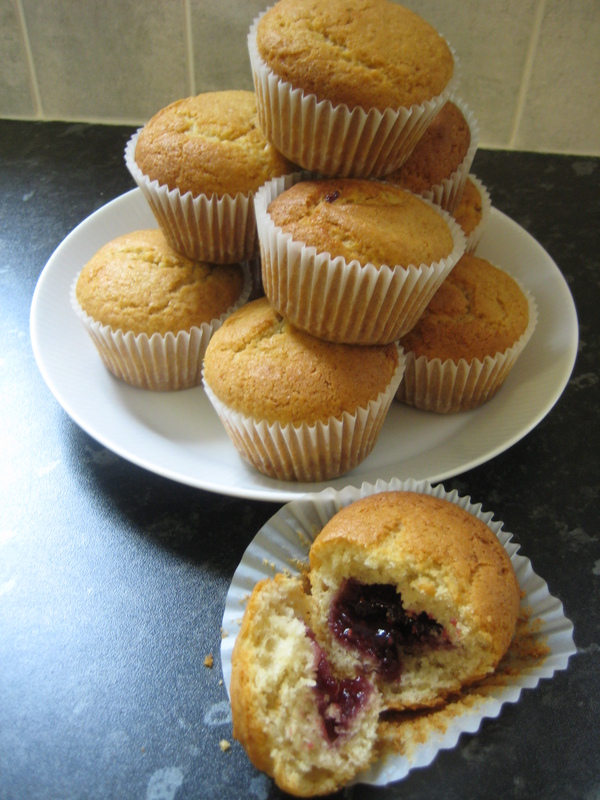 I make muffins quite a lot and use a basic recipe which I just modify depending on my mood or available ingredients e.g. by adding a teaspoon of ground cinnamon and a cup of blueberries or chocolate chips. Now I have another way of modifying it- adding vanilla bean paste and raspberry jam! I have a small mug (300ml) which I use to measure out the ingredients to save weighing them out, but I have put the weights below in case you don’t have a suitably sized mug. I love this recipe because it is so quick to do. Preheat the oven to 180°C. Put all the dry ingredients into a large bowl. Measure the oil into your mug or measuring jug and add the egg. Top with the milk up to make 300ml of liquid ingredients. Add this to the dry ingredients and stir to combine. Now add whatever ingredients you are modifying the recipe with- in this case the vanilla bean paste- and stir in. The next bit is a little fiddly for this particular recipe because I wanted the jam to be in the middle like a doughnut. 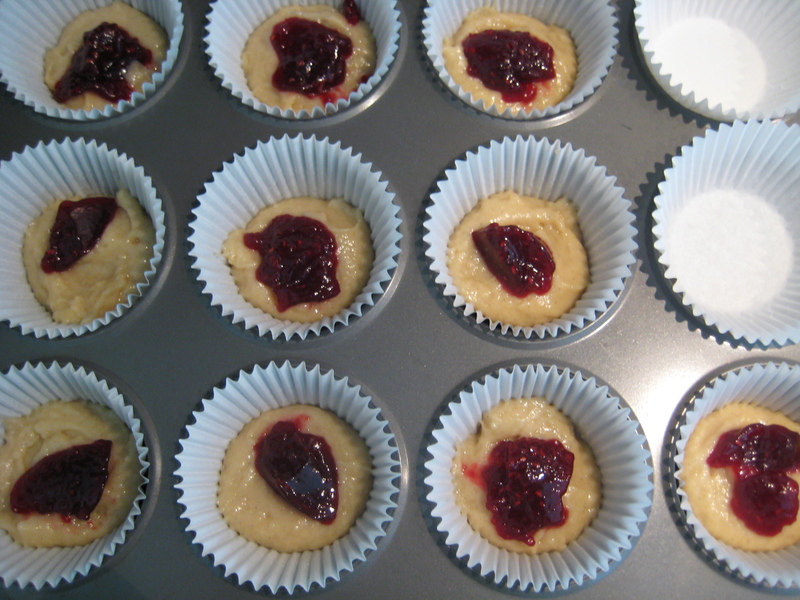 All I did was put a small amount of batter into the base of each muffin case, add a blob of jam and then top off with more of the muffin batter. Bake for 25mins. I was expecting to make 12 muffins but only did 10 in case I ran out of mixture when topping them up. It was a good job I did because that’s all I had enough to do! I should probably warn you to let them cool before eating because the jam gets quite hot and runny in the oven and therefore it can be hazardous to eat them too soon! This was my first time using the vanilla bean paste. It smelt amazing when baking, definitely better than using vanilla extract. I think it will look good in toppings too because it has those vanilla bean flecks in it, so I will be experimenting with it some more in the future.